Add one breakfast at Pesos. 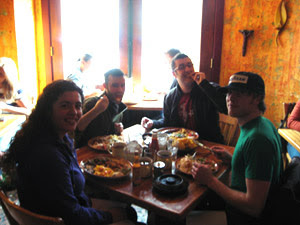 Pictured left to right: Moos, Wes, Me and Andy. Not pictured: Katrine, who had to work. 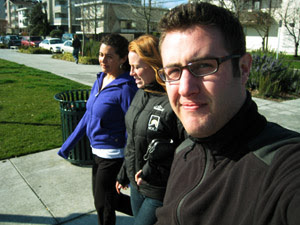 Add one walk through Ballard with the Wives. Pictured: Moos aka The Dark Lord, Katrine aka Ginger, and Me. Not pictured: Andy, walking ahead. Add one crackin' CD release party with the band. 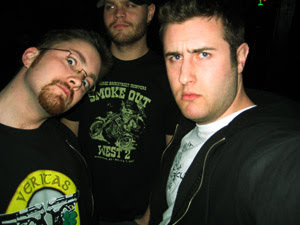 Pictured left to right: Chris, Danny and Me. Not pictured: Puddy, probably smoking.